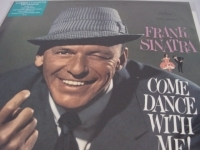 180 Gram Vinyl - items 175 to 200 Shop MyMusicFix!! 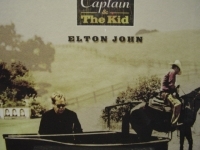 "Elton JOhn, Captain & The Kid"
"Elton John, Goodbye Yellow Brick Road (2 LPs)"
180 Gram Limited Edition Analog Virgin Vinyl. 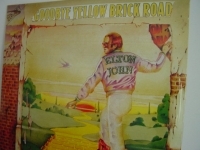 Tracks Include: "Funeral For A Friend / Love Lies Bleeding" "Candle In The Wind" "Bennie And The Jets" "Goodbye Yellow Brick Road" "This Song Has No Title" "Grey Seal" "Jamaica Jerk-Off" "I've Seen That Movie Too" "Sweet Painted Lady" "Ballad Of Danny Bailey" "Dirty Little Girl" "All The Girls Love Alice" "Your Sister Can't Twist" "Saturday Night's Alright For Fighting" "Roy Rogers" "Social Disease" "Harmony"
"Elvis Costello & The Imposters, The Delivery Man (2 LPs) - 180 Gram"
"Elvis Costello, My Aim Is True - 180 Gram Out of Print"
Out of Print 180 Gram Limited Edition Analog Virgin Vinyl. 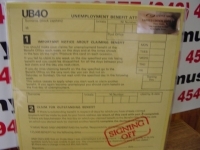 Tracks Include:"Welcome To The Working Week" "Miracle Man" "No Dancing" "Blame It On Cain" "Alison" "Sneaky Feelings" "(The Angels Wanna Wear My)Red Shoes" "Less Than Zero" "Mystery Dance" "Pay It Back" I'm Not Angry" "Waiting For The End Of The World". 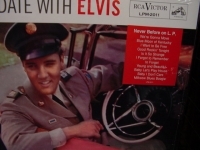 "Elvis Presley, A Date With Elvis (gatefold cover)"
180 Gram Limited Edition Analog Virgin Vinyl. 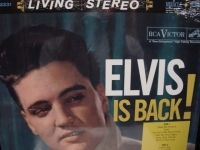 In 1959 RCA put together this album to keep Elvis' adoring fans hyped up about their beloved rock star who was stationed in Germany serving his country (there was even a calendar to count the days until his return). When and where these tracks were recorded was made hush, but who cares, it's the King! 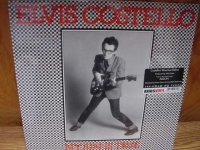 Tracks Include: "Blue Moon of Kentucky" "Young and Beautiful" "(You're So Square) Baby I Don't Care" "Milk Cow Blues" "Baby Let's Play House" "Good Rockin' Tonight" "Is It So Strange" "We're Gonna Move" "I Want to Be Free" "I Forgot to Remember to Forget"
"Elvis Presley, Elvis Is Back"
"Elvis Presley, From Elvis in Memphis - 180 Gram"
180 Gram Limited Edition Analog Virgin Vinyl. 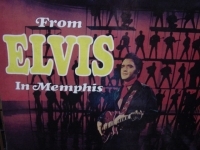 From Elvis in Memphis is the first of two albums that came from the American recordings--and it's slightly better than Back in Memphis, including as it does "Long Black Limousine" (about a huge star returning to a small hometown in a hearse, and a song many Presley obituaries would later quote) and a cover of Chuck Willis's "Any Day Now" that actually tops the original. It's worth noting that all the tracks from the American Sessions are available on the box set From Nashville to Memphis. 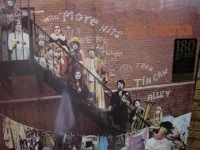 "Eric Andersen, More Hits From Tin Can Alley"
180 Gram Limited Edition Analog Virgin Vinyl. Tracks Include: "Tin Can Alley, Part I" "16 Year Grudge" "Miss Lonely Are You Blue" "Mary Sunshine" "Honey" "Just A Little Somthing" "Rollin' Home" "On The Edge Of You" "Broken Hearted Mama" "Hello Sun" "A Woman Is A Prism" "Tin Can Alley, Part II." 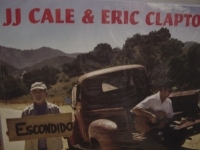 "Eric Clapton & JJ Cale, The Road to Escondido"
"Eric Clapton, Slowhand - 180 Gram"
"Fleetwood Mac, Live In London 1968 - Numbered - 180 Gram"
"Fleetwood Mac, Rumours 180 GRAM Euro-Sealed - CURRENTLY OUT OF STOCK"
Euro Sealed meaning it is new/never played but sent out of its cover to us from Europe (pressed in Germany) - we put inside cover and place a plastic cover over jacket. 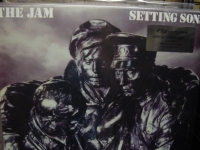 Classic Analog Heavy Weight Vinyl, voted the #16 greatest rock n roll album of all time! This album is literally one of the most successful rock albums in music history. Along with winning the Grammy Award for Album of the Year in 1977, the record spent more than 6 months at #1 on the charts, included four Top Ten singles, and has gone platinum an incredible 18 times (and counting). 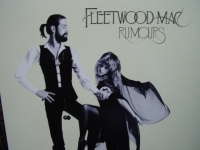 Tracks Include: "Second Hand News" "Dreams" "Never Going Back Again" "Don't Stop" "Go Your Own Way" "Songbird" "The Chain" "You Make Loving Fun" "I Don't Want To Know" "Oh Daddy" "Gold Dust Woman"
"Frank Sinatra, Come Dance With Me - 180 Gram - LAST COPY"
"Frank Sinatra, Francis Albert Sinatra & Antonio Carlos Jobim - 180 Gram"
180 Gram Limited Edition Analog Virgin Vinyl. 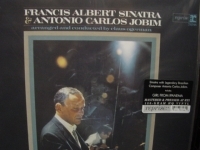 Out of Print In 1967, jazz music had become smitten with bossa nova influences, and before this time, Sinatra had never done anything of the sort; but what a way to start with Antonio Carlos Jobim, the styles leading composer. 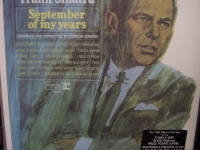 Tracks include: "Girl from Ipanema" "Dindi" "Change Partners" "Corcovado" "Meditation" "If You Never Come to Me" How Insensitive" "I Concentrate on You" "Baubles, Bangles and Beads" "Once I Loved (O Amor en Paz)"
"Frank Sinatra, September Of My Years - 180 Gram"
180 Gram Limited Edition Virgin Vinyl Pressing. Out of Print This 1965 release won a Grammy for Album Of The Year. Tracks include: "The September Of My Years" "How Old Am I?" "Don't Wait Too Long" "It Gets Lonely Early" "This Is All I Ask" "Last Night When We Were Young" "The Man In The Looking Glass" "It Was A Very Good Year" "When The Wind Was Green" "Hello, Young Lovers" "I See It Now" "Once Upon A Time" "September Song"
"Frank Sinatra, The Voice - 180 Gram - First Edition"
Originally released in 1955 by Columbia, The Voice is generally considered Sinatra's best full long-playing 12"disc from his Columbia years. 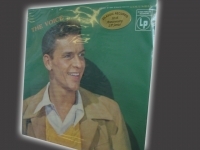 Hear the styling that marked his transition from big-band singer to supplanting Bing as the male vocalist for the next 3 decades. Tracks Include: "I Don't Know Why (I Just Do)" "Try a Little Tenderness" "I Don't Stand a Ghost of a Chance With You" "Paradise" "These Foolish Things" "Laura" "She's Funny That Way" "Fools Rush In" "Over the Rainbow" "That Old Black Magic" "Spring Is Here" "Lover". 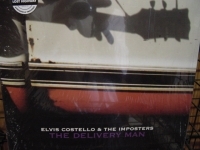 180 Gram Limited Edition Analog Virgin Vinyl. 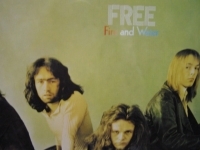 "If Fleetwood Mac, Humble Pie, and Foghat were never formed, Free would be considered one of the greatest post-Beatles blues-rock bands to date, and this record shows why. 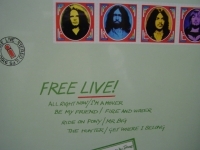 Conceptually fresh, with great, roots-oriented, Band-like feel, Free distinguished itself with the public like Black Sabbath and Deep Purple did (in terms of impact, only) in 1970." - All Music Guide. 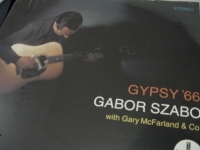 Tracks Include: "Fire and Water" "Oh I Wept" "Remember" "Heavy Load" "Mr. Big" "Don't Say You Love Me" "All Right Now"
"Free, Live - 180 Gram"
"Gabor Szabo, Gypsy 66 - Last Copy"
Out of Print - 180 Gram Limited Edition Analog Virgin Vinyl. 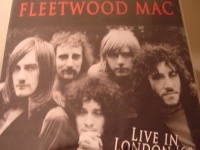 Tracks Include:"Yesterday" "The Last One To Be Loved" "The Echo Of Love" "Gypsy'66" "Flea Market" "If I Fell" "Walk On By" "I'm All Smiles" "Gypsy Jam". 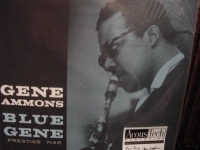 "Gene Ammons, Bad! 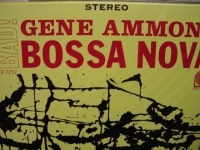 Bossa Nova - 180 Gram"
"Gene Ammons, Blue Gene - 180 Gram"
180 Gram Limited Edition Analog Virgin Vinyl. Using only the original analog master tapes, the renowned team of Steve Hoffman & Kevin Gray remastered and cut all of the titles at AcousTech Mastering, which features a pure Class-A disc-cutting system. AcousTech is located at Record Technology, Inc. the plant where the vinyl was pressed. It is a tremendous sonic advantage to have the pressing plant plating department & mastering room in the same facility as Steve & Kevin could cut a lacquer and plated immediately. This prevents the degradation of the grooves in a lacquer which is very fragile to quick deterioration. Another of the mid-1950s Ammons' studio jam sessions for Prestige, Blue Gene lives up to its title by utilizing blues changes as the basis for three of its four selections. Pianist Mal Waldron wrote all these lines and the minor-key ballad, Hip Tip. Ammons was one of the most expressive saxophonists and, in Idrees Sulieman and Pepper Adams, he found soulmates among the other horns. Each man had jammed with Gene on Prestige previously. 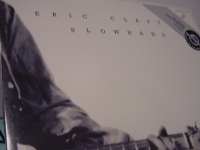 -------------------------------------------------------------------------------- Track Listings 1. Blue Gene 2. Scamperin' 3. Blue Greens and Beans 4. Hip Tip Features Gene Ammons (Tenor Sax) Idrees Suliman (Trumpet) Pepper Adams (Baritone Sax) Mal Waldron (Piano) Arthur Taylor (Drums) Doug Watkins (Bass) Ray Baretto (Conga). "Gene Ammons, The Soulful Moods Of Gene"
Factory Sealed 180 Gram Limited Edition Analog Virgin Vinyl. The nicest thing you can do for your stylus and ears. The way music was meant to be heard. Out of Print forever! 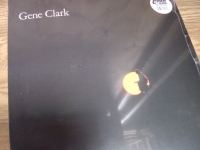 "Gene Clark, White Light - 180 Gram"